Bathrooms Bathrooms at their best in Barnet Looking for a Bespoke Bathrooms designers and fitters in Barnet, North London? Then you have come to the right place. At Blue Sky Interiors we are pleased to be able to design a gorgeous range of high quality bathrooms at prices which are surprisingly affordable. Our specialist and talented bathroom designers can guide you through the design process, helping you to make personal decisions around your own practical needs, requirements and tastes and helping you to create the bespoke bathroom of your dreams. 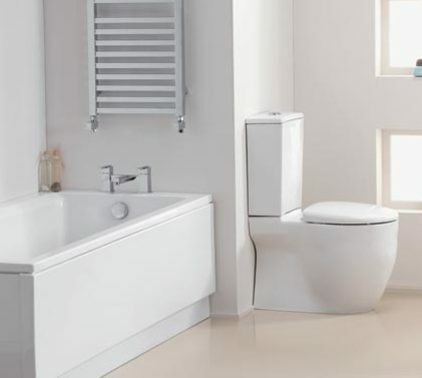 Once we have completed the design of your new bathroom, we will visit your home and our highly experienced team of fitters will install your new bathroom with the minimum of fuss. We pride ourselves on the quality of our work and deliver the highest possible standards you can rest assured that we will always provide beautiful results. Take a look at our site and the selection of ideas we show you here and if you need inspiration about what you would like to achieve from your high Bathroom please do contact us directly at our conveniently located showroom or make an appointment for us to visit your home to discuss the options. We will be happy to talk through your thoughts and plans and come up with a design to suit your needs and expectations.